Hola! 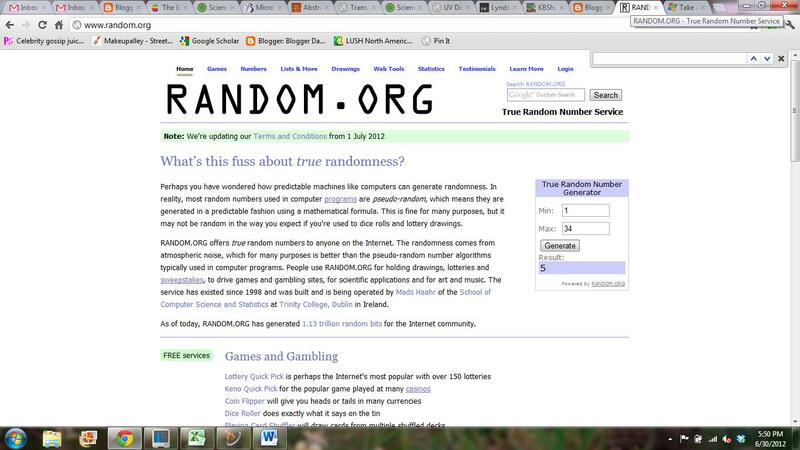 I want to congratulate Rachel C for winning the giveaway! I'll be contacting you shortly for your information. Thanks to everyone for entering! Good Genes is the final Salon Effects set I have to show. Honestly I thought I was going to hate these (love the name though). I thought the jeans effect was going to look terrible on the nail, but I'm pleasantly surprised. It's still not my favorite, but it's not terrible. Overall, I am terrible at doing nail art, so if I want something unique, I always get some Salon Effects. I find they are quite durable, and if you think they are too expensive, you can take the extra strips to apply on your toes as well! Greetings from Knoxville! Don't forget to sign up for the giveaway. You have until midnight EST to do so. The winner will be announced and contacted tomorrow. Good luck! OoOoOo, Red-y to Rock has a bit of sparkle to it, doesn't it? I just love the finish on this one, which is different than the rest of the collection I have. Red-y to Rock is a zebra print with red and white stripes. Love it! The removal of this one was just fine, despite the abundance of fine shimmer. Blarg, I'm driving back to Knoxville to finish my science work. I just hate when you have unattainable expectations on how long something will take and you're way off. I thought I was going to get my samples done in a couple days, but it's going to take at least double that. Oops! Anyway, I'll still be posting, but you may not get the most exciting posts. Sorry! Don't forget to sign up for the giveaway. I'll still be announcing the winner this weekend, so go ahead and enter now! Rock 'n Roar is a cheetah (or is it leopard?) print design with black, gold and silver. It makes quite a statement and I received many compliments on it. I always have at least 6 strips left over, one being the huge thumb one, and my husband decided to put these on this thumbs. They actually fit quite nicely, and he received tons of, "Let me see your thumbs. Why do you have that on?" A lot of people don't respond so well with a guy with polish on, which is a shame. Good thing my husband doesn't care and will rock it if he feels like it. Happy Monday! I had a busy day getting back into the swing of things and I'm getting some good data back from my trip to Cambodia. Anyway, I have a few more Salon Effects polishes to show, and here's Fingerlace Gloves. I find the pliability of the strips to be quite variable, with Fingerlace Gloves being the easiest to work with. Sometimes when you try and stretch them out over the nail, the design can get slightly messed up. I like this design quite a bit! Do you like the Salon Effects line? Oh, and don't forget to sign up for the Zoya giveaway! You still have until Friday to enter. Whew, I just spent the last 6 hours driving back from TN and I'm exhausted. Just starting out in Knoxville we hit a huge traffic jam with another one to follow in NC. Oh well, we finally got home. I believe this is the last of the Maven polishes I have to show and this one is different since it is a magnetic lacquer. I really hated the magnet on this, so I decided to skip it. I didn't feel that the magnet was very strong and it was awkward to hold near the nail. It's a medium purple metallic shimmer that is very pretty. I think this is my favorite of the box. Hola! I'm still in Knoxville visiting and working and having a great time. I forgot to mention anything about about the movie Rock of Ages. I thought it looked horrible. Horrible. That being said, I love the 80s feeling of these polish strips. Sticks and Stones has a Van Halen theme of white, red and white lines. I actually wore these to the wedding I went to in Virginia a few weeks ago and it was a big hit. I got so many compliments on them and everyone thought I made the lines myself. I think these may be my favorite of the collection. Sally Hansen Salon Effects Rock of Ages Collection: Zip It! 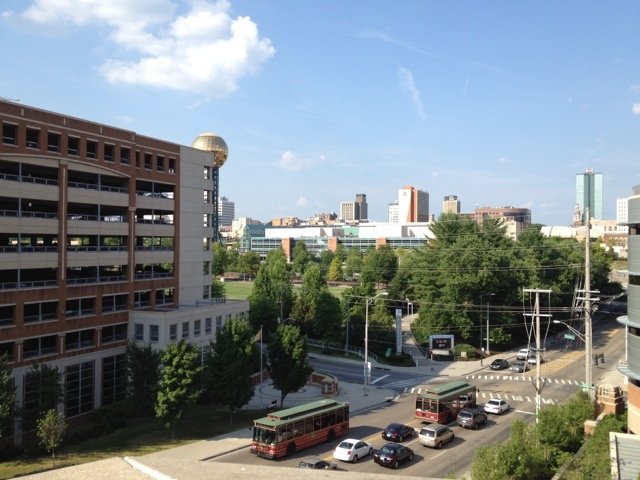 I'm back in Knoxville, TN to do some science work so this is going to be a quick post. I love the Sally Hansen Salon Effects strips. I've already reviewed how to apply these so I'm not going to rehash that. Zip It! is part of the Rock of Ages collection and is a metallic silver with little zipper designs. At first I had no idea they were supposed to be zippered because the design is a bit small. I wish all the designs were like my middle and index fingers because you can see it better. I always have good luck with these lasting a long time and I wore these for over 3 days with very minimal chipping. Not my favorite design, but it's still cute. June Giveaway for Zoya Nail Polishes! Giveaway time! I'm happy to have Zoya Myrta and Tracie from the Beach & Surf collection up for grabs. Unfortunately this is only open to the continental US. You must be a follower of the blog in order to win. To enter, make a comment with your e-mail address letting me know what your favorite Zoya color is (mine's Crystal!). Please only one entry per person. 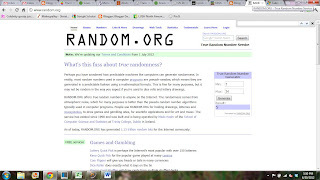 A winner will be chosen by random.org on Friday June 29, 2012 at midnight EST. Thanks to Verve 360 hair salons in Pittsburgh for providing the prize! Good luck! Hola! I just realized last night that my huge backlog of polishes has been whittled down quite a bit. Since I was gone for over 2 weeks with no swatching, I'm almost running out of pictures to show! No worries, I have a few Orly, China Glaze, Jessica Cosmetics and Sally Hansen Salon Effects to show in the next week or so. Oh, and I went to Sally's Beauty Supply this weekend and they had their clearance items an extra 50% off. I don't know if that was good just for this weekend, but they had a few nice polishes. Sasha comes from my latest Julep box (I didn't really want this box, but I fo rgot to opt out since I was in Cambodia) and it's a cantaloupe melon creme. The application was fine, but this was the first polish I wore when I got back from my trip and my hand had forgotten how to apply polish! It's not the most unique polish, but I think it's a nice summer color. I hope your week is off to a nice start! I'm finally starting to analyze my samples collected from my trip and will be testing the amount of chlorophyll a in surface waters. Chlorophyll a serves as a proxy for photosynthetic organisms (i.e. eukaryotic algae and cyanobacteria) in water. Can you believe I forgot to post Jingle Jangle from the Color Club holiday collection? Despite being a holiday polish, this is one you can definitely wear all year around. It's a glitter polish with blue, green, purple and pink colors. I didn't see any holographic glitter in there which is unlike the rest of the collection. It is a little sheer, needing at least 3 coats (you can see on the swatch above that you can still see some nail even with 3 coats). You can always add a base color to make it more opaque if you really feel like it. You can never have enough glitter polishes if you ask me. Happy Birthday, Mom! With Father's Day being tomorrow, my family is having a busy weekend! I hope your weekend has been going well. I went to Greensboro today and had some awesome Mexican food. Holy crap, 24/7 is insanely bright! If you're into neons, get yourself over to your local drugstore to pick it up (they are only $1.99 retail price, with sales for $0.99). For the price, you cannot beat it. It was a little streaky at first, but the second coat really evened things out. I love it! Who says cheap polishes can't be great? I am a huge fan of Essence polishes, I just wished they'd release more colors to the US. Every time I go to Ulta I look to see if there are any new ones, but I'm often disappointed. For some reason I had never picked up Icy Princess before, and it's a silver foil shimmer that is quite opaque with 2 coats. You may already have something like this in your collection, but if you don't, check out Icy Princess for $1. Also, if you're like me and can never finish a polish, the bottle size is perfect for you. Hump day already? Gosh, it feels like Monday still! I'm about ready to head home from work, but I may stop at my local TJ Maxx to check out their polish section. Some people on MUA mentioned they had some good finds so I to see what they're talking about. Yup, this is day 2 of crappy Julep brush. The finish on Ashley is very similar to Nessa, but I'm liking it a lot more. It's an orange shimmer polish with a metallic finish. If you look closely, you can see a few brush strokes, but that's likely due to the brush being uneven. I think if I used this one again with the new brush the application would be much smoother. I like Ashley, and I think it fits in my orange collection nicely. It's Monday which means back to the grind. It's been a muggy, rainy day today so I didn't really mind sitting in the office/lab doing some work. So how was your weekend? Mine was good, I went to that wedding in Virginia and it was beautiful. It was so nice to see my old friends from Tennessee. I went to Ulta today to see if there was anything I needed, and I came out empty handed. We're in that between season stage where a lot of the summer collections have already been released and not many things have come out. I did see the fun Orly glitters, but they want $10 for those. Who are you kidding? The next collection I'm excited to see is that China Glaze Safari collection that should be out soon. What are you most looking forward to? Icing doesn't have a name for this one, so I'm calling it Magnetic Pink. I know, I'm boring, but I'm not getting paid to make up names like Icing should be. It was a bit sheerer than the previous one I've tried, so I ended up using a second coat. With these you have to be extra careful not to ding your nails with the magnet. I had to redo 1 or 2 nails because I got too close to the magnet. I like the pink shimmer and I really like the chevron pattern on the nail. These retail for around $9, but Icing is always having a sale on their products so keep an eye on that.